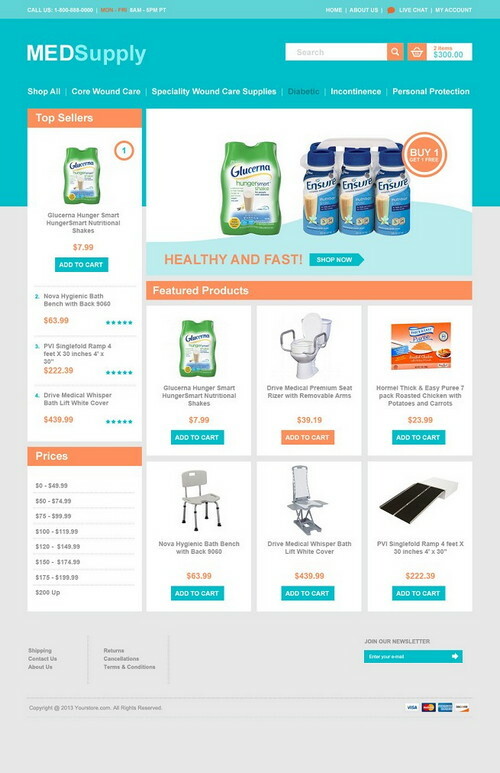 3dCart has designed many eCommerce templates which can be found on many popular websites. 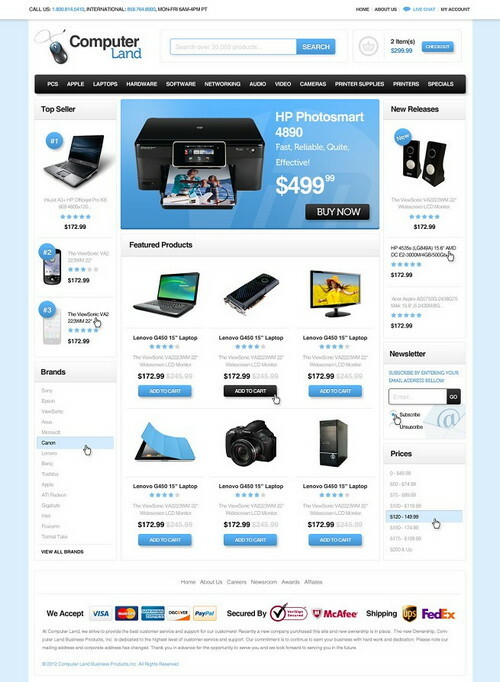 They specialize in delivering best 3dcart eCommerce Templates for the customers. Building custom eCommerce solutions for corporate businesses is huge work and 3dcart does it by integrating the most requested eCommerce features into a simple and affordable shopping cart. With right pricing and delivering high quality solutions for your store these templates will be the best place to start your business if you are interested in this business. 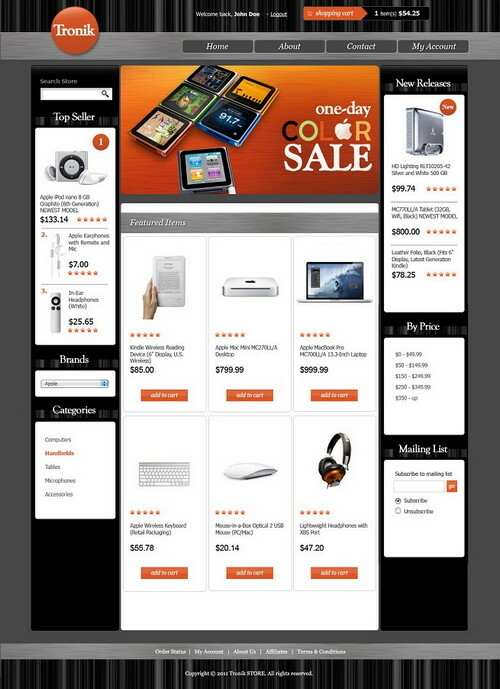 Here we have listed 10 Best 3dcart eCommerce Templates which will make your life easy. Tronik is a brand new 3dcart template that’s perfect for those who sell tech items online. From computers to gadgets and everything in between, Tronik showcases your products in full glorious detail with the addition of a beautiful homepage slider, a top-sellers section and a completely customizable header. Modern, clean and highly functional, the new Naturale template by 3dcart is perfect for those who sell beautification products online. With a customizable three-tone color scheme of purple, pink and white, your online store will soon adopt a style that is both modern and fun. 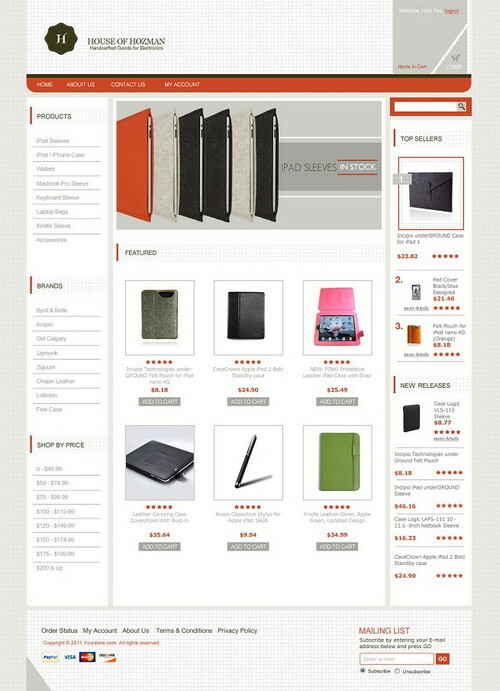 The new House of Hozman theme is the perfect choice for those who want a modern e-store with unmatched functionality. Take your online store to the next level today with 3dcart’s brand new House of Hozman template. Carefully designed for maximum functionality and beauty, Accessories and Beyond is a brand new 3dcart theme that embodies the true essence of awesome. Do you sell fitness supplies, workout apparel or products tailored to appeal to one’s inner chi? If so, Run Time is the perfect template for your ecommerce business. With a look and feel that evokes a true Zen-like quality, Run Time comes fully equipped with dozens of enhanced ecommerce features. Med Supply is the perfect 3dcart template for you! Featuring a beautiful homepage slider, social sharing buttons and a wide array of additional ecommerce features, this customizable template will give your e-store a professional look and feel while also providing shoppers with an exceptional buying experience. 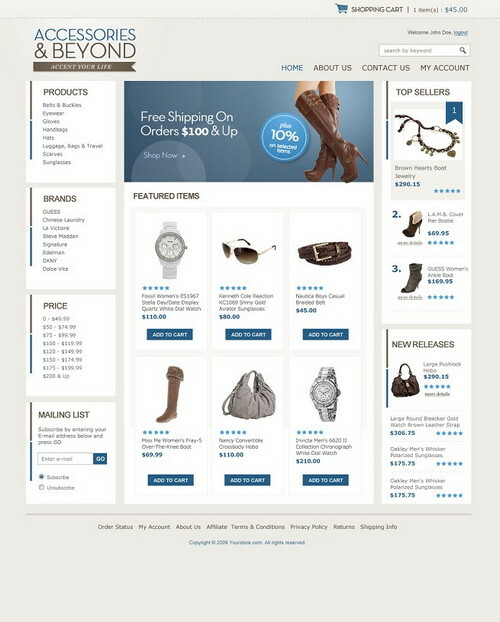 Capture the essence of a big-time player in the ecommerce landscape with the new Best Place theme by 3dcart. With the new Floral Heights theme offered by 3dcart, your online boutique will quickly become a sought after destination by offering customers an incredible shopping experience driven by enhanced ecommerce features and an exceptional overall look. 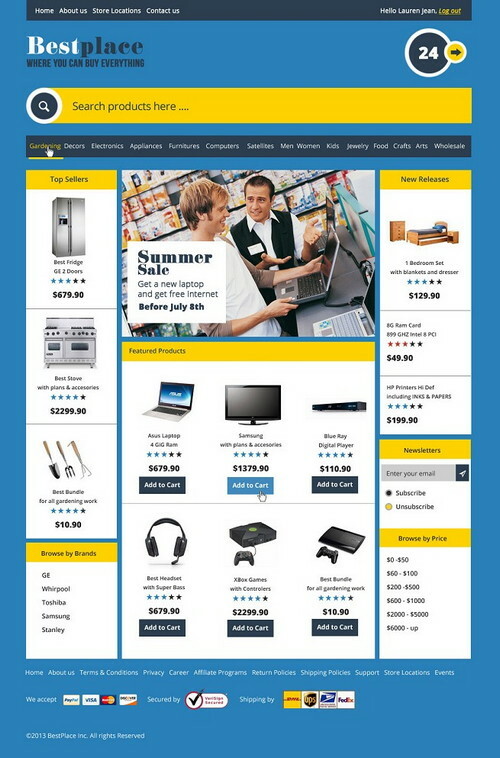 Computer Land is an amazing 3dcart template designed to showcase your products in full, glorious detail. 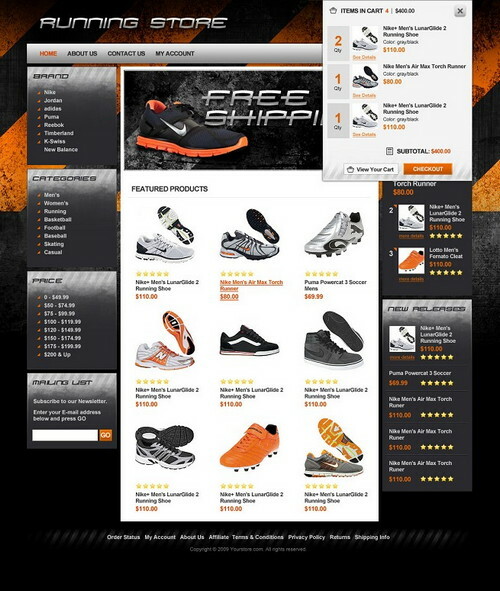 It comes equipped with everything you need to spotlight your products utilizing a variety of enhanced ecommerce tools. 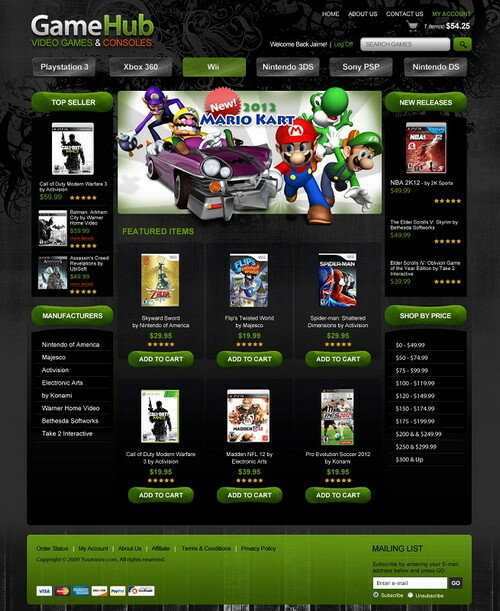 The new Game Hub template by 3dcart is perfect for those who sell video games, movies or electronics online. Not only will you love its beautiful green and black color scheme, its streamlined designed and enhanced functionality will soon create a remarkable shopping experience for your customers.